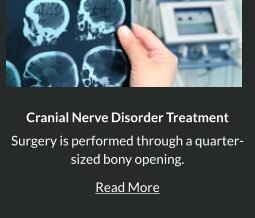 Pituitary tumor surgery is the most common treatment for the removal of benign pituitary tumor that is located in the part of the brain where it is safe for your Orange County Neurosurgeon, Robert Louis MD, to remove. 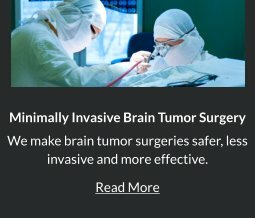 There are several factors that make surgical removal of pituitary tumor the best option, such as if the tumor is secreting hormones that medication cannot treat, if the tumor is pressing against the pituitary gland or nerves that are causing other health problem or if the tumor is persistent and continues to grow despite medical and surgical treatments. Fellowship-trained Orange County neurosurgeon Robert Louis, MD offers a comprehensive approach to caring for patients with pituitary tumors though minimally invasive surgical approaches. 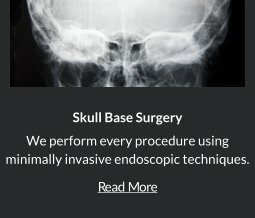 He has the expertise in minimally invasive neuroendoscopic and endoscopic transsphenoidal surgical tehcniques that produce better patient outcomes, as well as the more traditional craniotomy. Dr. Louis performs minimally invasive Neuroendoscopic Surgery to remove pituitary tumor that cannot be reached with traditional surgery. 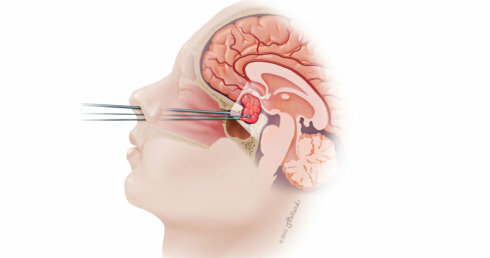 Using an endoscope, the pituitary tumor is accessed through the nose, mouth or a dime-sized hole in the skull. 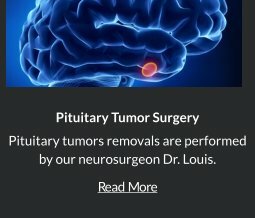 Dr. Louis helps improve outcomes for patients with pituitary tumors by using cutting-edge technology, procedures and tools, such as intra-operative digital imaging and computers to help detect and safely remove pituitary tumor. These technology and tools allow your neurosurgeon to perform minimally invasive surgery that provides patients with great benefits. 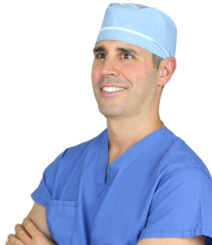 Dr. Louis and his surgical team of fellow specialists and nurses are all experienced and trained in neurosurgery and post-surgical care. Post-operative and follow-up care are very important part of Dr. Louis’ comprehensive pituitary tumor treatment. Dr. Louis will provide post-operative care and schedule follow-up appointment to monitor your recovery and healing. It is important to stick to your appointments so your healthcare team can monitor any recurring symptoms.